This Classical Guitar is designed by Pepe Romero Sr. and Jr. 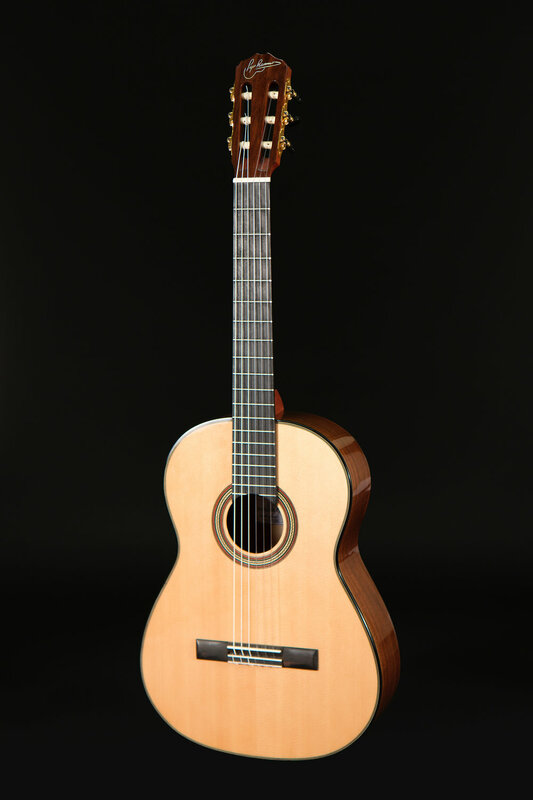 It is modeled after Pepe Romero’s Custom classical guitars. It is built with the Spanish heal neck joint. This is a concert quality guitar worthy of the Pepe Romero Sr endorsement!